Page created: 9-Apr-2012, updated: 30-Apr-2012, 01-May-2012, 03-May-2012, 14-May-2012, 28-May-2012, 30-May-2012, 10-Jun-2012, 17-Jun-2012, 5-Jul-2012, 3-Aug-2012, 21-Aug-2012, 26-Aug-2012, 2-Sep-2012, 5-Sep-2012, 13-Sep-2012, 24-Sep-2012. 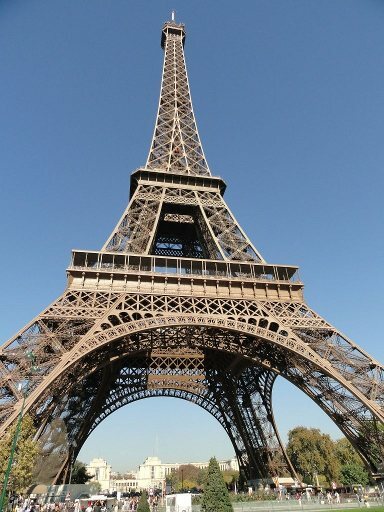 At the HFCC Steering Board on Friday 25th May, the hosts of the upcoming HFCC conference in Paris informed us that the number of hotel registrations at the conference hotel has been very low so far. The hotel has informed us that they have block-booked enough rooms for participants to the HFCC conference. However, these rooms can only be held until 15th June. After this date, they will be available for general booking. As the hotel only has 130 rooms, participants to the conference are strongly urged to complete their registration by 15th June, in order to secure their room for the duration of the conference. Otherwise they may have to seek alternative, more expensive accommodation elsewhere and still have to pay the daily conference package of 70 EUR per delegate. Notes: - If you need an official invitation for visa purposes, contact Jeff White at the NASB (radiomiami9 cs.com). - Please, submit both the Booking Form (directly to the hotel) and the Conference Registration Form. 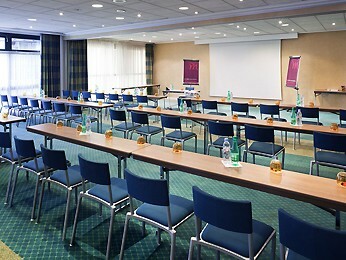 Conference Hotel: Mercure Porte d'Orleans Hotel in Montrouge, a southern suburb of Paris (exact address: 13 rue Francois Ory, 92120 Montrouge, France). Incidentally, this is the same hotel where a previous HFCC conference was held in 1994. 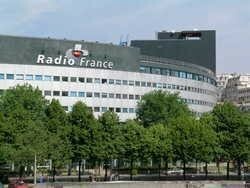 The hotel is much closer to Orly airport than to Charles de Gaulle airport. 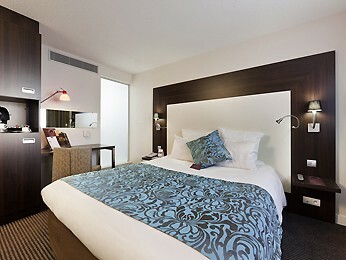 There is free wireless Internet access in all hotel guest rooms and meeting rooms. Hotel Rate: 125 euros per night for a single room (one person), including breakfast, for the nights of August 27, 28, 29 and 30. 105 euros per night for the nights of August 24, 25, 26, 31 and September 1. 10 euros extra for a second person in the room. Conference Fees: The HFCC Conference fee will be only 50 euros, payable in cash to the HFCC Conference registration desk upon arrival. However, similar to the B10 Conference in Switzerland, the hotel charges a daily conference delegate rate of 70 euros per person per day for Monday-Friday, August 27-31 (i.e. a total of 350 euros for the week). This amount will be charged to your hotel bill. The hotel's daily conference delegate rate includes three coffee breaks, a three-course lunch with mineral water and coffee, and the cost of meeting rooms, audiovisual equipment, etc. Further details about the conference and the agenda will be published here in the coming weeks. Specific questions may be directed to Jeff White at the NASB (radiomiami9 cs.com). 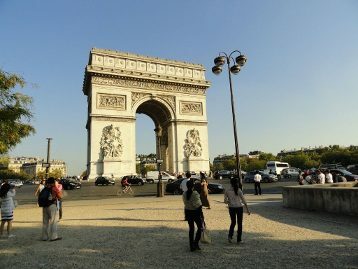 How do I get from the airport to the Mercure Porte d'Orleans Hotel? 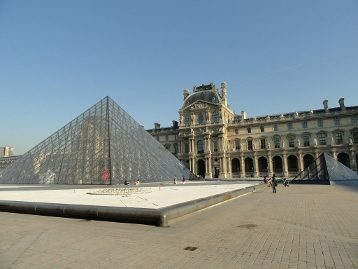 - If you fly into Orly airport, the distance is shorter and a taxi costs only around 20 euros. If your flight arrives at Charles de Gaulle airport, the cost of transportation to the Mercure hotel is estimated at 60 euros by taxi. 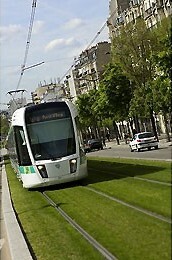 As an alternative, you can use the RER "B" train from CDG airport to the "Gentilly" station. From there, it is 10-15 minutes walking to the hotel (or a short taxi ride if you have heavy luggage). You don't need to take the metro. We estimate a cost of 10 euros by RER from CDG to the Gentilly station, and a travel time of one hour. Can my spouse or family members join us for lunch on the conference days? - Yes, they are welcome to join us at the conference lunch Monday through Friday. However, we need to notify the hotel in advance so they will have enough lunches. So please contact us at radiomiami9 cs.com to let us know how many extra persons will be attending, and on which day(s). The deadline for notifying us is August 18, 2012. Please note that the price for each additional lunch is EUR 33.71 (including three courses, mineral water and coffee) and this will be billed directly to your room. Once the hotel is notified, these lunches cannot be cancelled. Can the hotel provide special meals for my dietary requirements? - The breakfasts are buffet style, so you can take what you want. For the lunches on conference days, there are three types of special meals available: Vegetarian (at no additional charge), fish (at no additional charge), and Hallal (for a slight additional charge which will be billed directly to your room). Please note that you must notify us at radiomiami9 cs.com by August 18 if you wish to order these special meals for lunch.